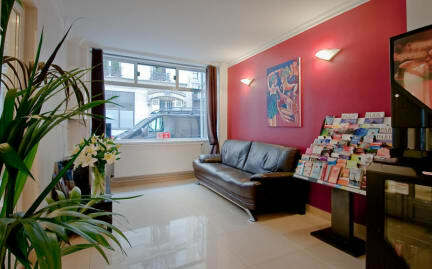 I found this hotel by chance when looking for an hostel in Paris for the 15th August. I suggest the choice for people who don't care about small spaces and want to have a quite and decent stay. Metro lines close, nice bars close, cleaning is ok, bathroom in the room. Prices resonable and lugguage storage just 1€. 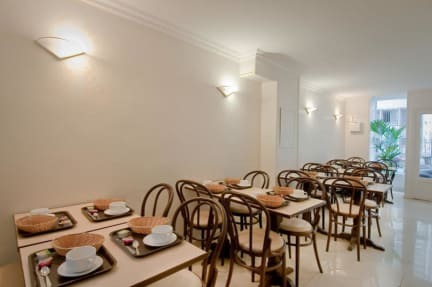 I am happy with this hotel in comparison with the expensive and not worthing offers of hostel (shared rooms and bathrooms) located in the same area. Ottima location.Personale molto attento e cortese.Da consigliare. Hotel a 2 stelle a pochi passi dalla metro e dal centro di Parigi. Stanze un po' piccole ma con tutto l'essenziale per essere usate come base per visitare la città. Lenzuola, asciugamani e phone inclusi. Migliorabile la pulizia. Personale disponibile.